What a great morning it’s been. 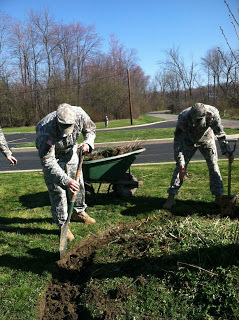 Hemlock Landscapes, based in Chagrin Falls, Ohio, invited me along as they participated in the Professional Landcare Network’s (PLANET’s) Day of Service event. 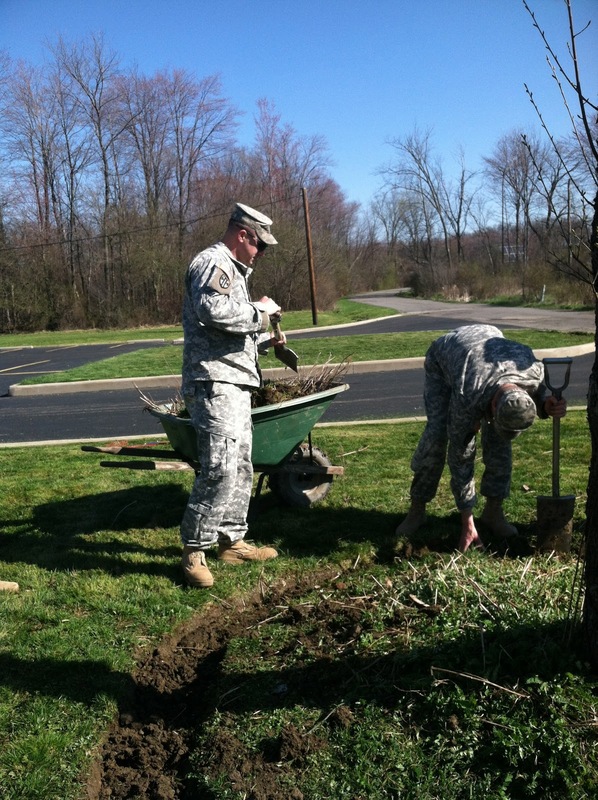 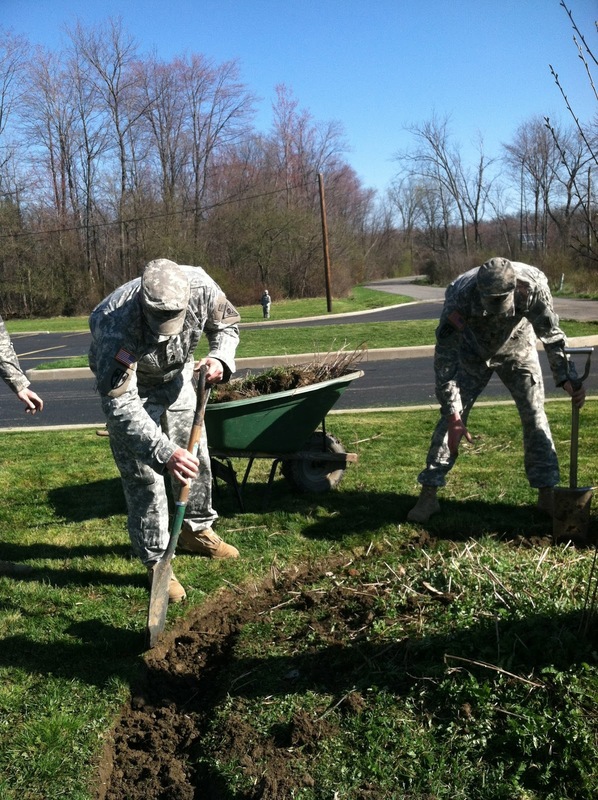 Hemlock donated staff, time and materials to the project, which involved sprucing up the grounds of the Ohio Army National Guard’s 135th Military Police Co.